Long time no see! It has been a while since I was active on this forum. Most of my spare time recently has gone to developing features for Chess for Android, and I had particular fun implementing support for an electronic chessboard, in particular the Millennium ChesGenius Exclusive. But now the checkers itch comes back, and I was pondering over implementing a similar feature in Checkers for Android. Hence my question, what are the most popular electronic chessboards for checkers? The DGT series? Others? And where can I find detailed information on the protocols in use (most preferably bluetooth connection)? Rein Halbersma wrote: I don't know the details but IIRC there is already some infrastructure setup to display live tournaments from electronic boards and connect this to engines such as Sjende Blyn or Kingsrow. There is already software if you buy such a board. Thanks Rein. Do you know of other brands of eboards for checkers, or is DGT the sole provider? As for software, I would of course be more interested in a detailed description of the bluetooth protocol, so I can connect directly from my Android apps. Jan-Jaap van Horssen wrote the software, you could PM/email him for more details. Rein Halbersma wrote: Jan-Jaap van Horssen wrote the software, you could PM/email him for more details. Please see here https://www.raindroptime.com/dgt-draughts-e-board.html. This is the page on which I bought the board. Of course, you can buy the same board on other websites on the internet. As much as I know, the board does not support the protocol bluetooth. One interesting information at the end, you have to buy the cables to the board separately. If you bought it, please write, I will give you a link to the latest software for the board. Unfortunately on the website http://www.digitalgametechnology.com/ does not have the latest software. Krzysztof Grzelak wrote: Please see here https://www.raindroptime.com/dgt-draughts-e-board.html. This is the page on which I bought the board. Of course, you can buy the same board on other websites on the internet. As much as I know, the board does not support the protocol bluetooth. One interesting information at the end, you have to buy the cables to the board separately. If you bought it, please write, I will give you a link to the latest software for the board. Unfortunately on the website http://www.digitalgametechnology.com/ does not have the latest software. I am merely interested in getting details on the bluetooth protocol used by DGT eboards that are bluetooth capable (not in other software, unless it contains documentation on protocols that are open). 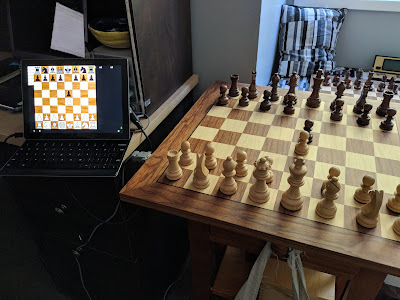 That would enable me to implement an eboard connection for Checkers for Android, similar to what I did for Chess for Android. It seems the DGT protocols are proprietary, but I hope the DGT team is sufficiently interested in having support from Android apps to share. I have contacted them, but no reply yet. Another interesting possibility is here. AartBik wrote: It seems the DGT protocols are proprietary, but I hope the DGT team is sufficiently interested in having support from Android apps to share. I have contacted them, but no reply yet. Another interesting possibility is here. Last edited by Rein Halbersma on Mon Apr 02, 2018 23:31, edited 1 time in total. AartBik wrote: I am merely interested in getting details on the bluetooth protocol used by DGT eboards that are bluetooth capable (not in other software, unless it contains documentation on protocols that are open). 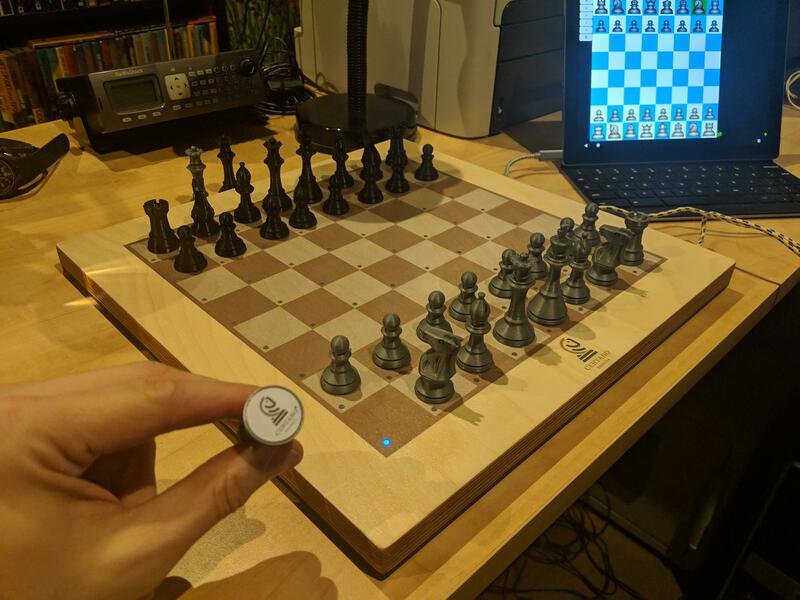 That would enable me to implement an eboard connection for Checkers for Android, similar to what I did for Chess for Android. I would also be interested to be able to use the protocol bluetooth by DGT eboards. Good news! The DGT team was very kind to share the protocol with me, and after a weekend of hacking I got it working for my DGT chess board (this one still has a RS232 cable so it required some cable creativity as well). So I am hopeful to do something similar for checkers soon too! AartBik wrote: Good news! The DGT team was very kind to share the protocol with me, and after a weekend of hacking I got it working for my DGT chess board (this one still has a RS232 cable so it required some cable creativity as well). So I am hopeful to do something similar for checkers soon too! I'm sorry to ask you AartBik. You may not know this but if this will fit into the protocol for boards DGT Draughts e-Board. I obviously can't speak for DGT's future plans, but I found them very co-operative. The DGT board recognizes each piece based on some internal piece-color specific properties (coil winding?). In fact, when I just got my DGT board, one of the rooks was identified as a pawn (I joked that the rook had an identity crisis), and I had to exchange just that piece to get it working again. Last edited by AartBik on Mon Apr 09, 2018 20:01, edited 1 time in total. Krzysztof Grzelak wrote: I'm sorry to ask you AartBik. You may not know this but if this will fit into the protocol for boards DGT Draughts e-Board. For 8x8 I may have to use just a subset of the 10x10 board. Not hard at all, although I won't be able to test it properly. I could partly test 8x8 checkers on my chessboard though. I extended the electronic board support in my Android chess app, which now supports Certabo, DGT, and Millennium (some USB, some bluetooth). The Certabo board in particular may be interesting for 8x8 checkers, since it ships with 34 identifying chips (full chess set + 2 extra queens), not necessarily pieces already. So with 24 chips for the checkers, and some extra ones for the kings, one could use a 3D printer to make a checkers set. I am very interested in adding such support to Checkers for Android is there is sufficient interest for that.